The accompanying photographs represent a number of cars leaving Messrs. Dalgety & Company’s premises, all destined for one town, viz: Bendigo, Victoria. 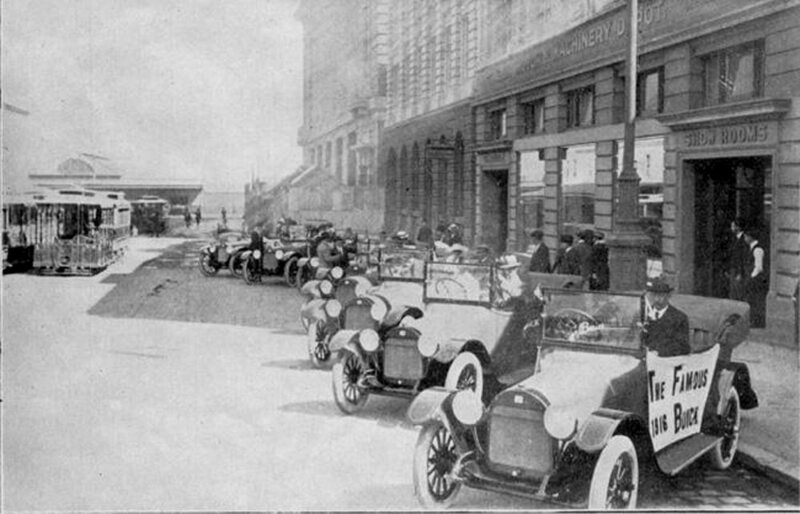 Altogether twelve cars left Messrs. Daigety & Co., Melbourne, in one day. They were ordered by Messrs. Rickard Bros., who are agents for Buick cars in the town of Bendigo; and the buyers happened to be in Melbourne, all waiting delivery of their machines, and drove away together.